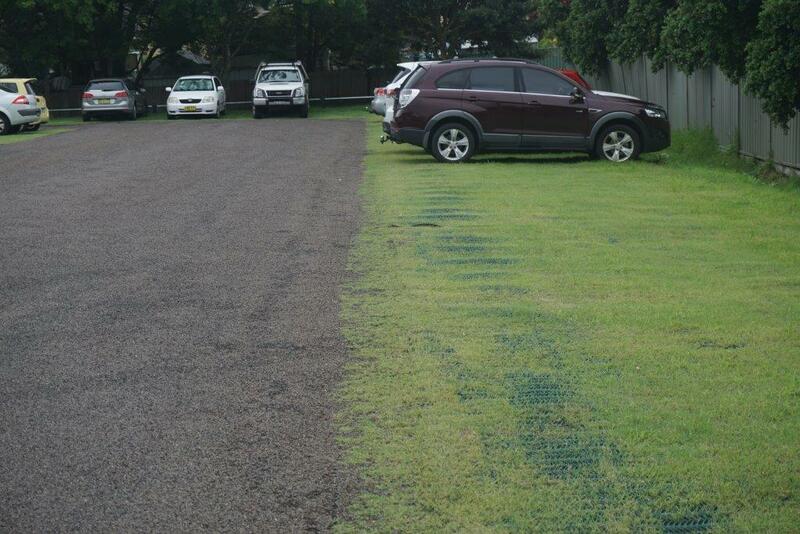 Grass Reinforcement Mesh saves you cost on having to frequently replace your damaged grass. No excavation is required and can be installed yourself. Please watch our installation video or alternatively we can provide acredited landscape installers to assist with installation. Steel Fastening pins are not included, available online. Installing a grass protector is ideal for grassed areas that are used for car parking, as constant vehicle traffic creates ruts and compaction which makes it very difficult for the grass to grow. We want to retain the green aesthetics and park our cars freely around the area without damaging the grass. 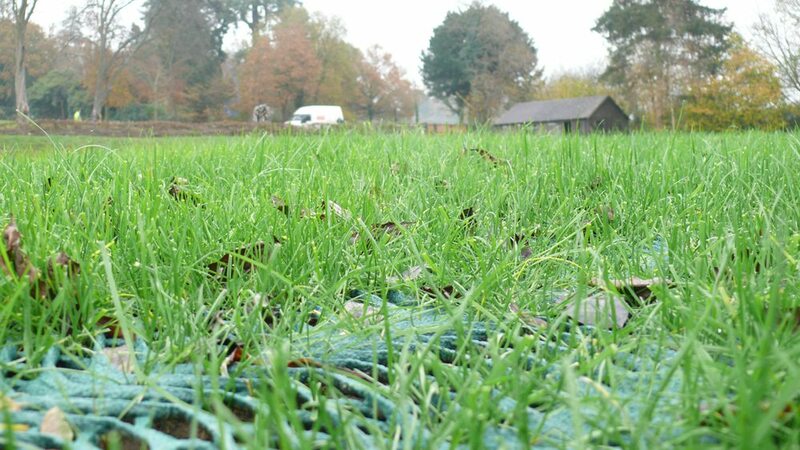 Grass protector is an extruded polyethylene mesh that is green in colour and designed to reinforce grass. It does that by stopping rutting and compaction of the soil. 1. Prepare the site by mowing back the grass. This allows the regrowth to come through the grass protector. 2. Fill any low-lying areas with topsoil. 3. Roll out the grass protector. 4. Pin it to the ground. 5. Then finish off the installation with the light dressing of topsoil. 6. Give it three or four-weeks rest period to allow the grass to grow through the grass. The pinning of the grass protector is very important. You don’t want any ripples forming in your grass protector. The best place to start is at the bottom corner. It’s very important that the top of the pin does not cross over the mesh but goes with the weave of the mesh. That allows your lawnmower, once the grass has grown through it, to travel over and not get caught. It also prevents any damage to the grass protector. For a more detailed guide on how to install your grass reinforcement mesh, watch our video below. Grass protector is a great ground reinforcement solution. It can be used on large scale applications or small residential areas. It is UV stabilized and has an oscillator design which gives it a non-slip factor, very important for pedestrians. If you have any questions on how to install grass protector on your site, give us a call at All Stake Supply on 1300 130 123.